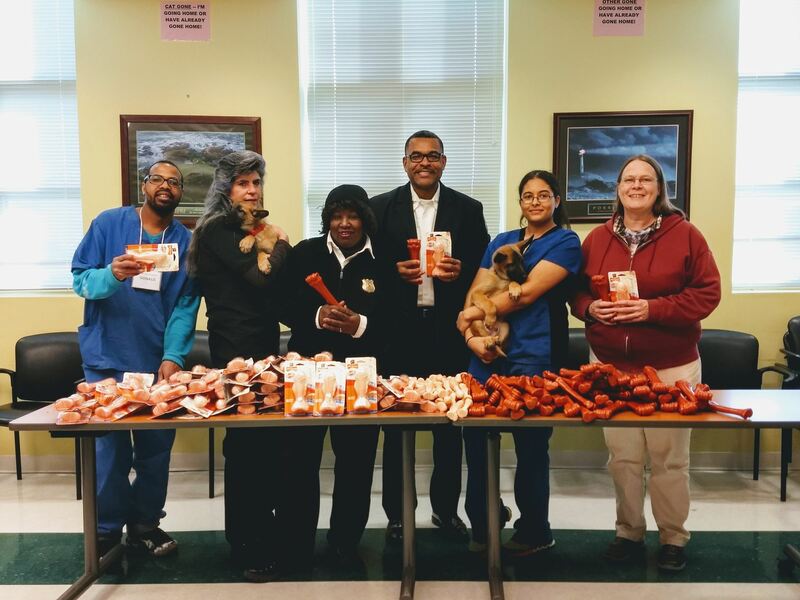 We counted 114 Comforters and 200 Nyla bones donated to the Prince Georges County Animal Shelter. Pictured below are Donald, Vi, Assistant Chief Terri, Deputy Chief Ronald and Marie from the shelter, and Paws Board Officer Barbara. Well, 2017 is quickly coming to a close and that means our yearly Kennel Comforter Project is getting ready to get going. We are looking for volunteers to sew or cut. If you have participated in this great project in the past, you know how easy and fun it is. 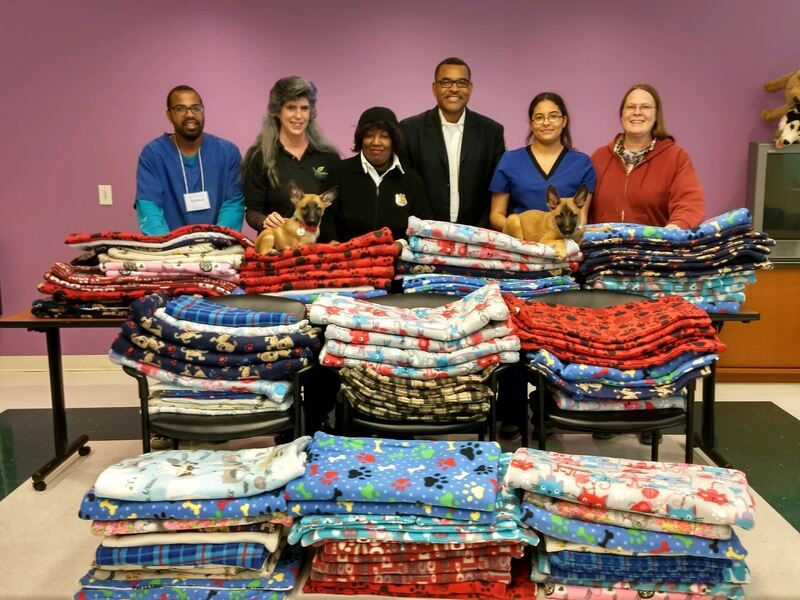 Last year we were able to donate 333 comforters to the Prince George's County Animals Shelter for the dogs and cats. Our goal this year is 400 which will be donated to a deserving organization to keep their animals comfortable while they wait for their loving, forever homes. And of course, there will be a celebration party at the completion so that all the volunteers can meet each other and see the finished product. If you would like to be a part of this very great project or would like more information, please contact me and sign up. Our plan is to cut and sew during the month of January and then present them to the lucky organization in February after our celebration party. We will start distributing the fabric for cutting the beginning of January or if you want to start cutting earlier, we can certainly accommodate you. Thank you in advance for being a wonderful volunteer and animal lover. 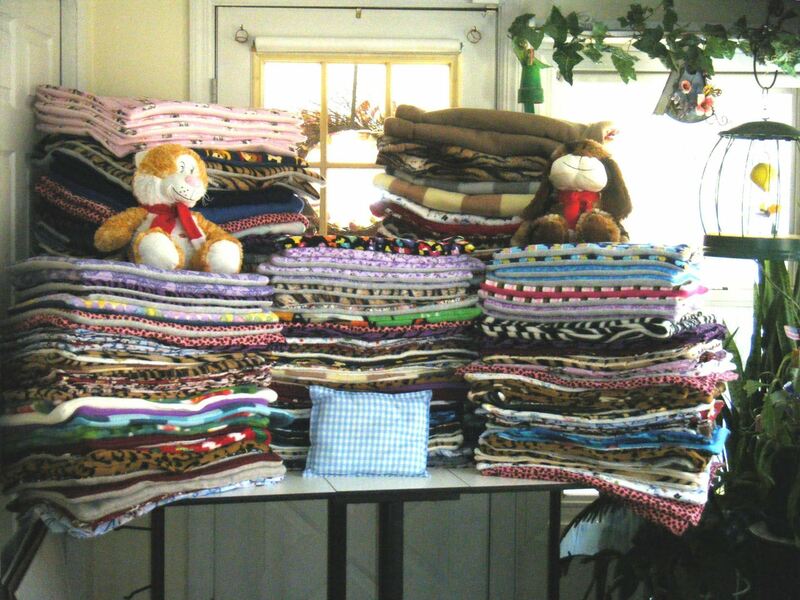 Comforters cut and sewn by Cause for Paws Cares volunteers in 2017 donated to the PG County Animal Shelter. Seeking volunteers to cut or sew for the 2018 Comforter Project. Call Connie to assist, 301-980-0444.